David W. Inlander is a seasoned family law attorney with a focus on complex matrimonial mediation, collaborative and cooperative resolution processes for sophisticated clients. He also has extensive experience in chancery, trust and probate, and professional liability litigation in addition to his representation of professionals and entrepreneurs. 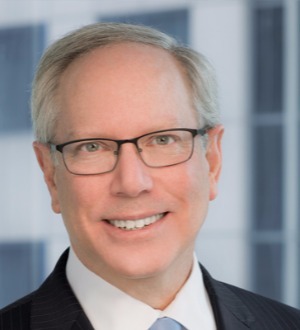 His skills as a mediator stem from more than 40 years of experience as a leading litigator in both state and federal courts, as he regularly guides challenging cases to resolution. David is an active member of the Cooperative Divorce Attorneys of Chicago and is engaged in the expansion of alternative dispute resolution methods for high-end matrimonial cases. Utilizing this approach, the parties – not the attorneys and judges – drive the negotiations to an amicable resolution. He continuously refines and deepens his mediation skills, including completing an intensive course at Northwestern University in divorce mediation skills. David has been active in the American Jewish Committee (AJC) for decades, currently serving as the Chair of the Interreligious Affairs Commission. This global role involves creating and shaping policy and has included multiple audiences with Pope Francis, as well as meetings with the highest levels of religious leadership in the United States and around the world, from Mexico City to Istanbul and Israel to India. In 2017 his work with the AJC was chronicled in the Chicago Daily Law Bulletin in a piece called “Spanning the globe to help ‘repair the world'. David is the current Vice Chair of the prestigious Illinois State Bar Association Bench & Bar Section Council and regularly pens articles for its newsletter. Professional Honors: David was honored as a 2017 Illinois Super Lawyer, selected by his peers as one of the top 5% of the profession in the area of General Litigation and Family Law. Super Lawyers also named him one of the top 100 general litigation attorneys in the State of Illinois. David was also selected as a Leading Lawyer of Illinois for 2017, in addition to being selected as one of 2017’s top 5% of attorneys in Illinois by Best Lawyers in America, in the areas of Family Law, General Litigation and Alternative Dispute Resolution (ADR). David was honored as a 2017 Illinois Super Lawyer, selected by his peers as one of the top 5% of the profession in the area of General Litigation and Family Law. Super Lawyers also named him one of the top 100 general litigation attorneys in the State of Illinois.